In babies this week we have enjoyed playing in the garden, rolling the hoops to each other, and working on taking turns. 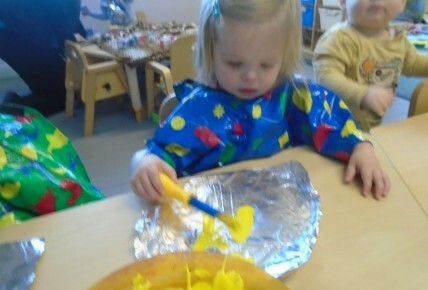 we have also been exploring our educational programs by painting on tin foil, copying actions while singing head, shoulders knees and toes and rollie pollie. 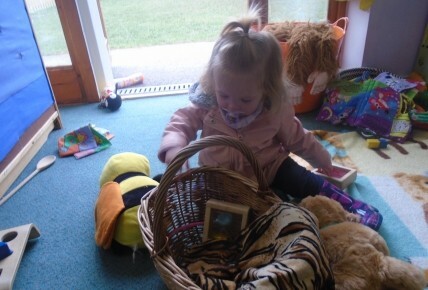 In addition, playing with our sensory baskets, looking at all the different colours, shapes and materials and teddies. 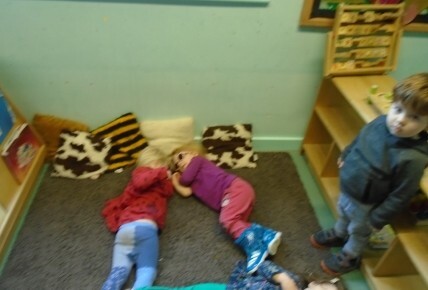 In toddlers this week we have been using our bodies to create different shapes, while also talking about how we can form those shapes. In addition we have been looking at group objects in size order, such as collecting cars in a basket and identifying what cars are the biggest and start to put them in a line of sizes. 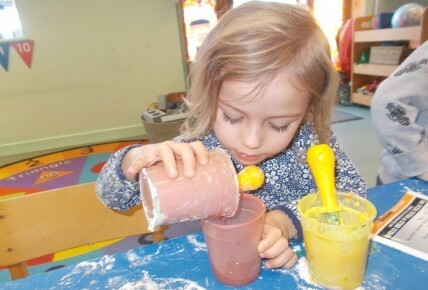 In preschool this week, we have been exploring how to make our own paint, mixing ingredients together as well as talking about how to change the colours by combining two colours. 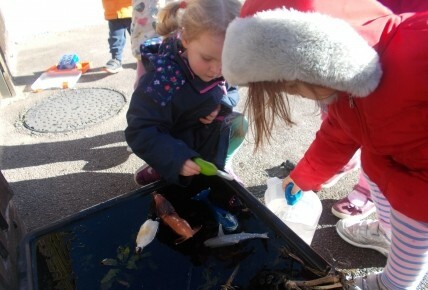 We have also been creating our own ice world for the small world animals, looking at what animals would live on the ice and under it, as well as finding ways in which to melt the ice. 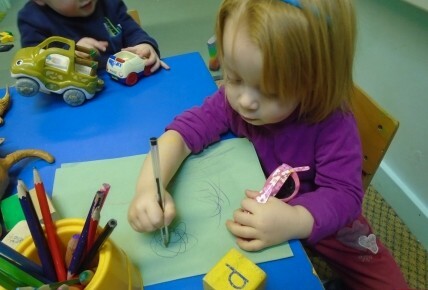 In addition we have been playing noughts and crosses, adding in different shapes, working on getting the children to work on drawing different forms of shapes, as well as getting them to take their time thinking about where the other player will go next so that they can stop them winning! Don't forget Pancake day on the 13th February!